Aldo Amenta suffered a severe spinal injury after diving into the shallow end of a swimming pool in 2015. Due to this accident, Amenta was unable to walk. But he didn't give up. Despite dark days, Amenta pushed through and a year after the accident came back to school with a full-tuition scholarship awarded by FIU's Ignite Campaign. 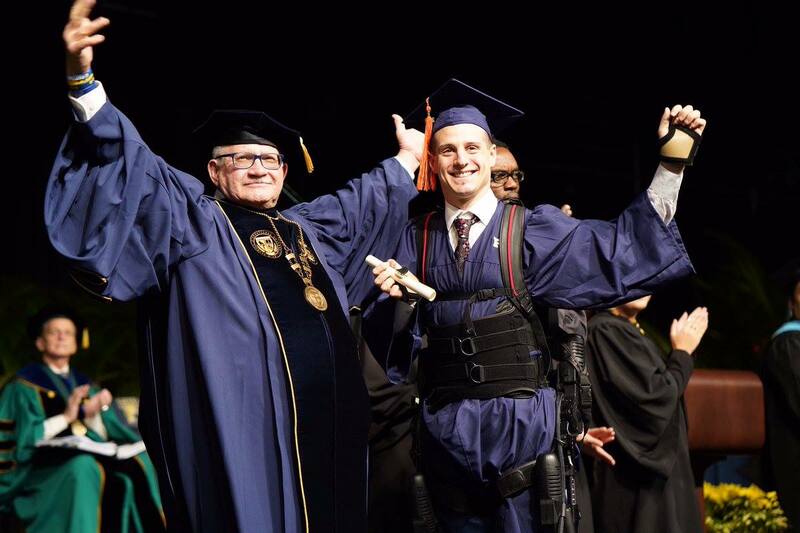 On Sunday, December 9th, Amenta walked across the stage to obtain his diploma using the help of an exoskeleton and his physical therapist. Congratulations to Aldo for receiving a bachelor's degree in electrical engineering and for being limitless. There is no stopping him. Aldo has been featured in several news stations, both locally and nationally.